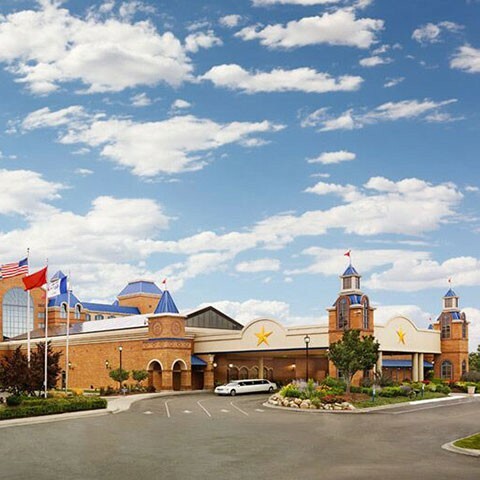 This beautiful 160 room AAA 4 diamond rated hotel is joined to Ameristar Casino the areas premier Riverboat Casino offering blackjack, craps, slot machines and a plethora of slot machines. The property offers rooms with 1 king or 2 queens and even whirlpool rooms. Room amenities at the Ameristar Council Bluffs include minibar, 4 cup coffee maker, hairdryer, 42 inch flt panel TV, complimentary high speed internet, deluxe bedding , express check out and in room pay per view movies and games. Conveniently located within the property are three different restaurants inclusive of a full buffet and steakhouse. Also offered is KIDSQUEST, a daycare service for children 12 and under. The hotel is ideally located near all of the major attractions in Omaha and Council Bluffs. Only 5 minutes from downtown Omaha 10 minutes from 10 minutes to downtown Council Bluffs. Enjoy a round of golf just yards from the Missouri River. Modeled after the historic riverboats of the 1800s, the Ameristar Casino Hotel Council Bluffs riverboat casino consists of 38,500 square feet of gaming excitement with a complete selection of popular slot, video poker and table games. Ameristar Casino Hotel Council Bluffs is the area’s slot leader with more than 1,400 of the latest and most popular slots, video reels, video poker and multi-game video machines. Ameristar features all of your favorite casino table games with a variety of table limits. Enjoy Blackjack, Craps, Roulette and EZ Pai Gow, as well as the latest specialty games. If you’re looking for high stakes action, be sure to check out our High Limit table games area. Dealers are ready to count you in. Just pull up a chair and let the games begin!